"Great experience, timely response, I would work with him anytime"
Usman Shaikh is a CA- and NY-licensed attorney and a graduate of the prestigious Ivy League school, University of Pennsylvania Law School. 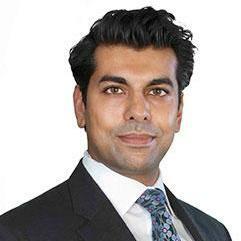 Usman brings over a decade of experience in Corporate/Business, Entertainment, and Intellectual Property transactions. Usman has substantial experience serving as outside general counsel to startups & small to mid-cap businesses. His clients are in such diverse sectors as technology, entertainment, new media, fashion, advertising/marketing, nightlife, consumer products & healthcare. Usman began his legal career in NYC at Winston & Strawn, eventually moving to Seward & Kissel, before… read more venturing off to LA where he was in-house at ICM Partners. "Usman seems very knowledgable of all the legal questions and issues we had." "I'm a fan. Usman did good work."